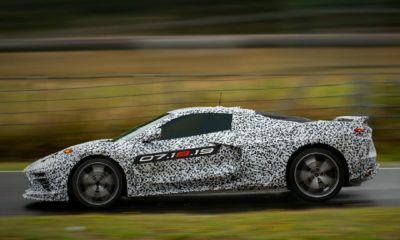 Mid-engine Corvette C8 test mules have been spotted testing California. Chevrolet is putting its mid-engine Corvette C8 test mules through their paces in the hills of California. Recently, two prototypes were spotted by a C5 Corvette driver. Luckily, he had his Go-Pros running and the C8 Corvettes were captured on video. Sadly though, you can’t hear the mid-mounted, twin-turbo V8 over the C5. A great catch, nevertheless. 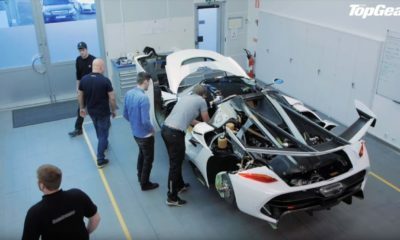 The mid-engine Corvette C8 is expected to use aluminium and carbon fiber to keep its weight down. 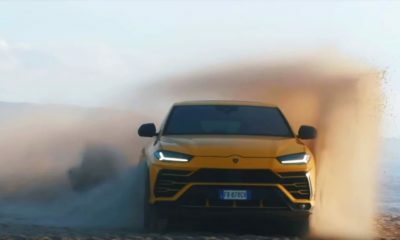 The twin-turbo V8 is likely to make around 700 hp. The new model will be built at GM’s Bowling Green plant in Kentucky. Its main mid-engined rivals will be the new Ford GT, Ferrari 488 GTB, McLaren 720S and the likes. Do you think the Corvette should’ve retained its traditional front-engine-rear-wheel drive layout? Let us know your thoughts in the comments below.